With amazement, I am pleased to announce that the washing machine installation project has reached completion more than seven weeks after we leased our apartment. The handyman, whose picture is listed in the dictionary next to the entry for “flake”, was supposed to show up today to finish the project. Instead, he showed up unexpectedly on Thursday afternoon. He and two assistants toiled away in our bathroom for about five hours. The water was turned off and the bathroom was a mess of fumes, PVC pipe dust, concrete powder, etc. Finally the washer was hooked up, Tawn started running a load, and we discovered that not only does the water back up on the balcony a bit – there’s also a leak in the ceiling space where the water line runs. 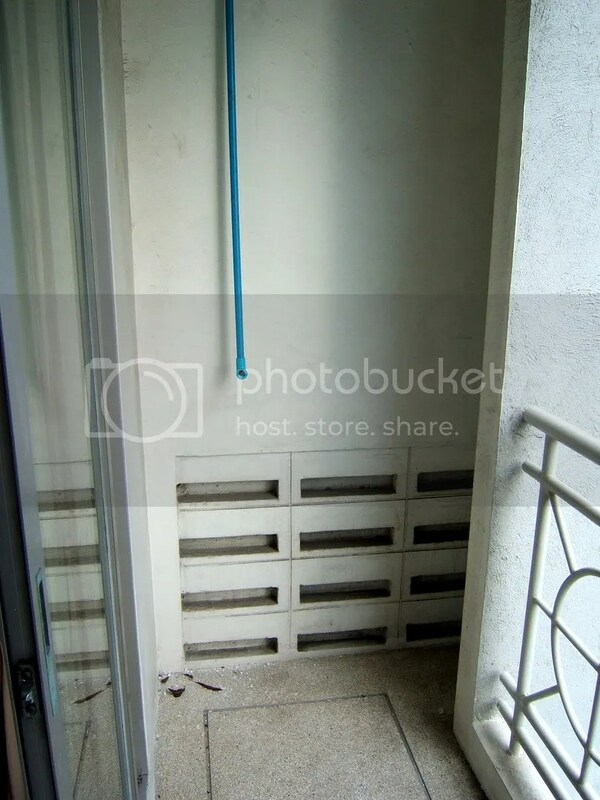 Picture 1: Bedroom balcony with a water line and no power. The washer is on the living room balcony on the other side of the wall. 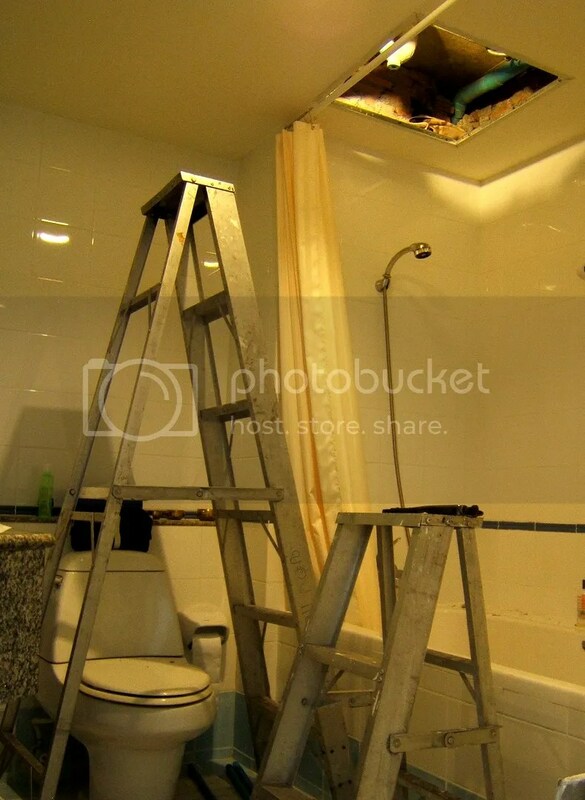 Picture 2: Construction taking place in our bathroom. Opening in the ceiling exposes the brick and mortar that is used to seal the crawl space. Picture 3: Washer is installed and the first full load is drying (or not) in the rainy afternoon air. So the handyman came back an hour later to check if the area was dry enough to make additional repairs. And it wasn’t so he said he’d be back in another hour. About two hours later, at 9:15 pm, he returned as Tawn and I were cleaning up and getting ready for bed. So his two assistants returned this afternoon about 1:30 to get the job finished. They were much neater than the handyman and actually wrapped the project up in about 45 minutes. So now our bedroom balcony has a washing machine that is hooked to power and water. A second pipe runs across the edge of the balcony to the drain beneath the air conditioning compressor. Since the water flows out of the pipe and not directly into the drain, we get a bit of a shallow lake on part of the balcony. But it dries quickly in the warm air and, frankly, I’m just glad that we can wash clothes now instead of paying rates higher than the US to have our clothes laundered! 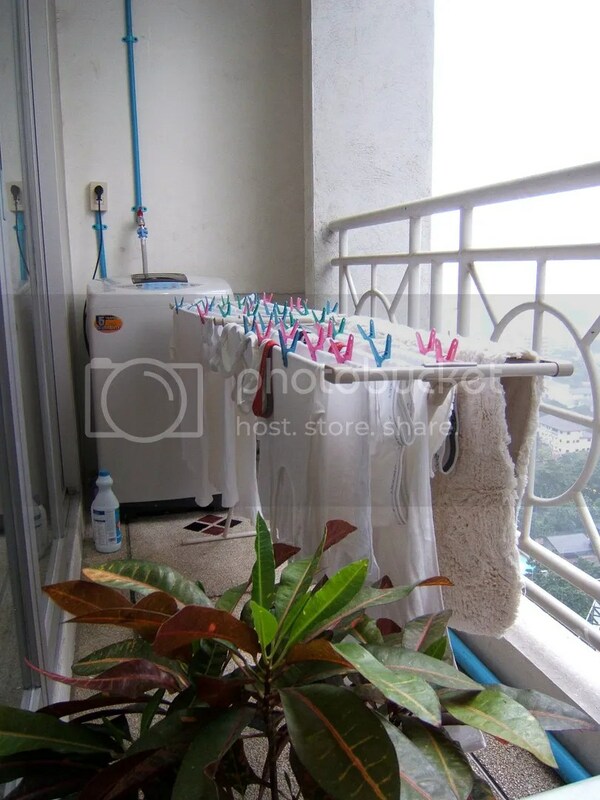 This entry was posted in Expat Life, Thailand and tagged Bangkok, clothes, Expat, Thailand, washer, washing machine by christao408. Bookmark the permalink. Shallow lake! That doesn’t sound very pleasant. You can’t run the pipe into the drain? The pipe does run to the drain. But it runs just on top of the drain; a bit more work to actually get it to run directly into the drain.